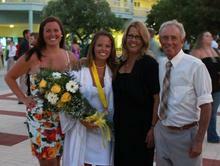 Patti and Richard Haws have lived in the Keys for over 30 years, raising two amazing daughters, Carly and Amanda. Amanda attends FGCU in Fort Myers and is in her fourth year working on her Bachelors Degree in Social Work. Carly is attending at D'Youville College in New York State working on her Doctorate in Occupational Therapy. Patti works at Enterprise Rental Car as a Senior Customer Asstistance Representative. Rick and Patti both owned and Operated a Thrifty Rental Car Location, managed and owned Vacation Properties in the Upper Keys,owned a small restaurant in Islamorada in the 80's and several Used Car Dealerships in New York and Miami. The experience drawn from these past ventures in Transportation, makes us experts in the Transportation field, which led us to opening Keyhopper Transportation and Taxi. We are family owned, Old School values, and Hardworking. Thank you for letting us be of service to you! About KEYHOPPER TAXI and Transportation, INC. Opening October of 2009, Keyhopper Transportation has grown , with steady sales increasing every year, mostly based on our Reponse time, Superior Quality and Customer Service. Our Drivers are pleasant and friendly, and vehicles are Comforble SMOKEFREE and Clean. We service our fleet regularly to be sure we have no mechanical issues, and no worries getting you where you need to go. For these reasons, we have built a customer base that matches no other Taxi in Marathon. Save our number to your phone, you won't need to call anyone else! Thank you to all of our Loyal Customer for your support and business. We could not do it without your loyalty and referrals. 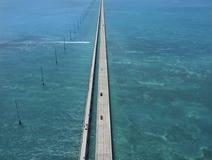 KEYHOPPER TAXI and Transportation, INC. is family-owned and operated right here in Marathon, FL. Other companies may offer similar services, but our services are the best, and come with a personal touch.